Matt has been training BJJ for the past six years. Matt won Gold at the IBJJF World Master Purple belt for his division in 2018, setting him aside from the other purple belts at the school. Matt was then promoted to his brown belt September 5th, 2018, under Royce Gracie, under Greg Thompson. Matt, is an EMT-Basic with 14 years of experience, and also his certification for CPR under the America Heart Association. 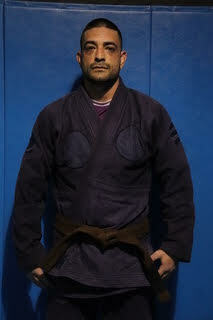 Matt teaches the advance kids BJJ classes, and the Adults NO GI classes.